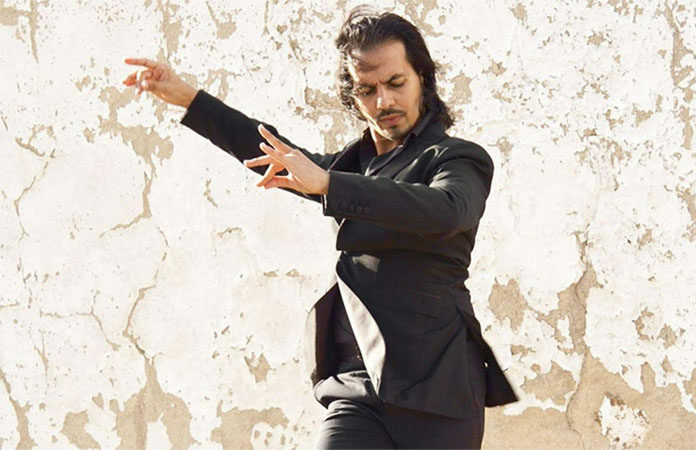 Farruquito (Juan Manuel Fernández Montoya) is the “heir to one of the most renowned flamenco dynasties in Spain” (The New York Times). Son of flamenco singer Juan Fernández Flores “El Moreno” and dancer Rosario Montoya Manzano “La Farruca”, the eldest of 3 siblings, Juan Antonio Fernández Montoya “El Farru”, Manuel Fernández Montoya “El Carpeta” and Alegría Fernández Montoya, Farruquito was immersed in the purest form of flamenco founded by his grandfather, “El Farruco”, one of the greatest dancers in the history of flamenco. His first international stage appearance was at the age of four, on Broadway in New York City alongside his grandfather in the hit show Flamenco Puro. At the age of 11, he was featured in the film Flamenco, produced by the legendary film director, Carlos Saura, which launched Farruquito’s career and positioned him amongst the most elite flamenco artists of the world.